According to reports Kristen Mary "Kris" Jenner, 60, has dismissed her entire security team after an trespasser was apprehended at her home. 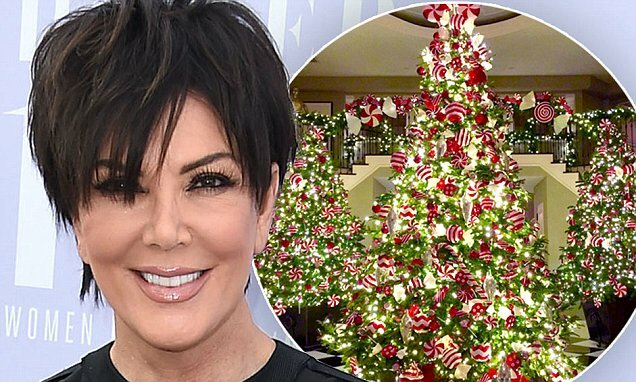 The American television personality who rose to fame for starring in the reality television series Keeping Up with the Kardashians together with her family was reportedly confronted by a stranger at her Calabasas mansion on Tuesday- Dec 15. According to TMZ, the 60-year-old momager was so angry about the drama that she sacked her current security team when they couldn't adequately explain what had happened. Kris's daughter- Kimberly "Kim" Kardashian West, 35, her husband Kanye Omari West, 38, and children- two-year-old North and newborn Saint have been staying at the sprawling mansion while their own home is being renovated. TMZ also claim Kanye's protective detail, which is made up of off-duty police officers, have been called in to help patrol the grounds in the interim. In a live stream on her website this week Kim, opened up about a terrifying incident involving an intruder when North was a baby. Speaking as she showed fans the family's extravagant Christmas decorations, she said: "I remember last time when I had the baby, when I had North, my mum was up on her balcony and someone had hopped the fence and came over here to try and get a picture of me with my baby.She added "I was like...you have no idea. But now we have full-time security on every edge." Kim recently opened up about staying with her mum over Christmas, admitting she's excited about the prospect. She said: "I'm so excited to be living with my mom this Christmas because she always goes all out with the decorations! "She gets the biggest tree that literally looks like it should be at Macy's or something, LOL. She always sets out lifesize nutcracker soldiers along the entrance to the front door and hangs icicle lights from the trees in the driveway and the backyard."